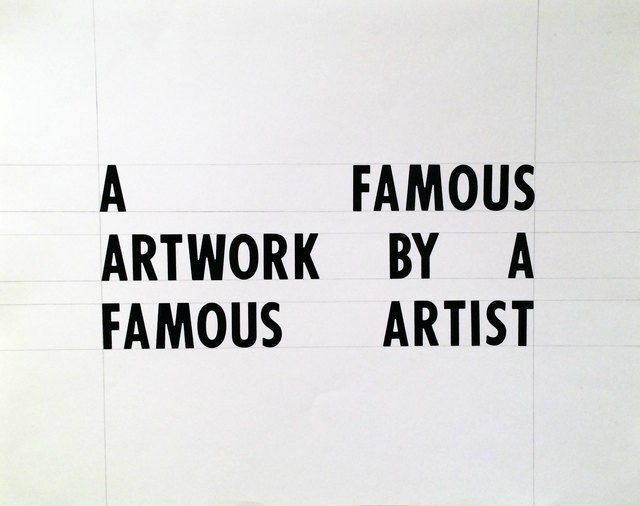 Famous, 2014. Vinyl letters and pencil on art board. 20 x 30 inches. Edition of 10. 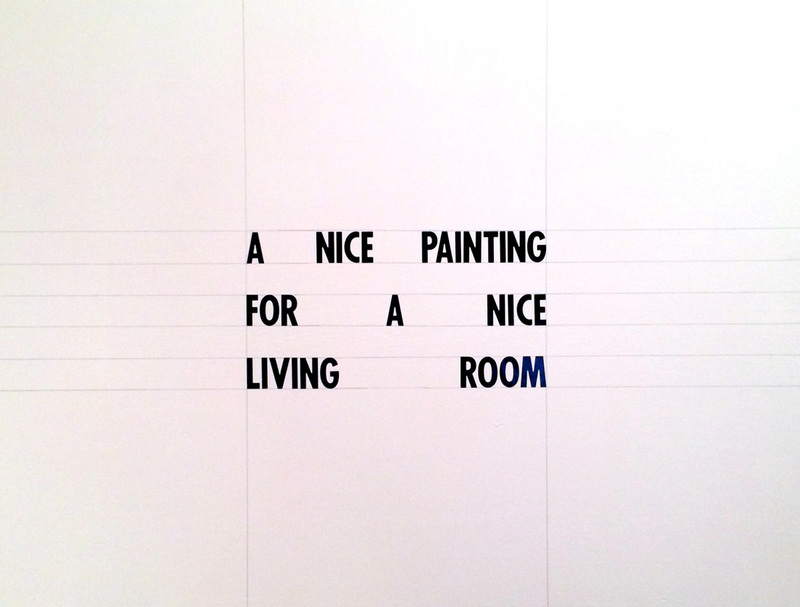 Nice, 2014. Vinyl letters and pencil on wooden box. 40 x 60 inches. Edition of 10. 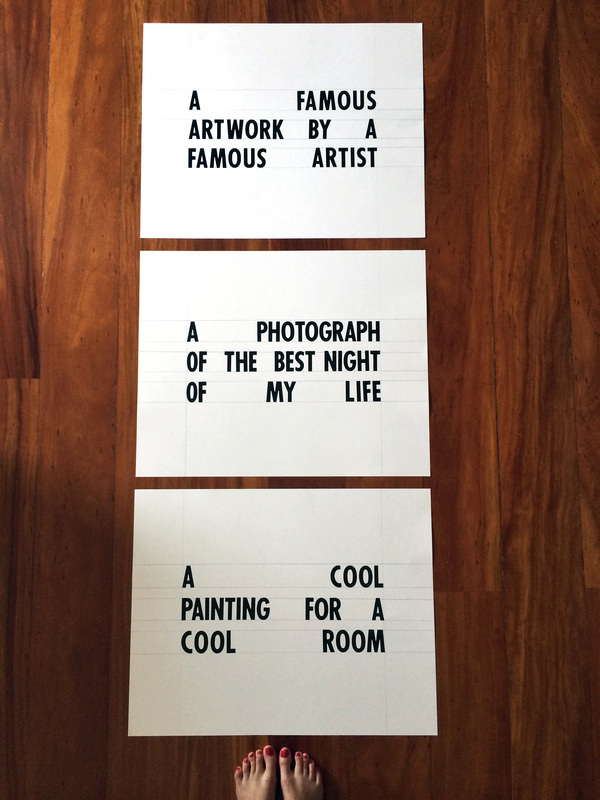 Famous, Best Night and Cool, 2014. Vinyl letters and pencil on art board. 20 x 30 inches (each). Edition of 10. 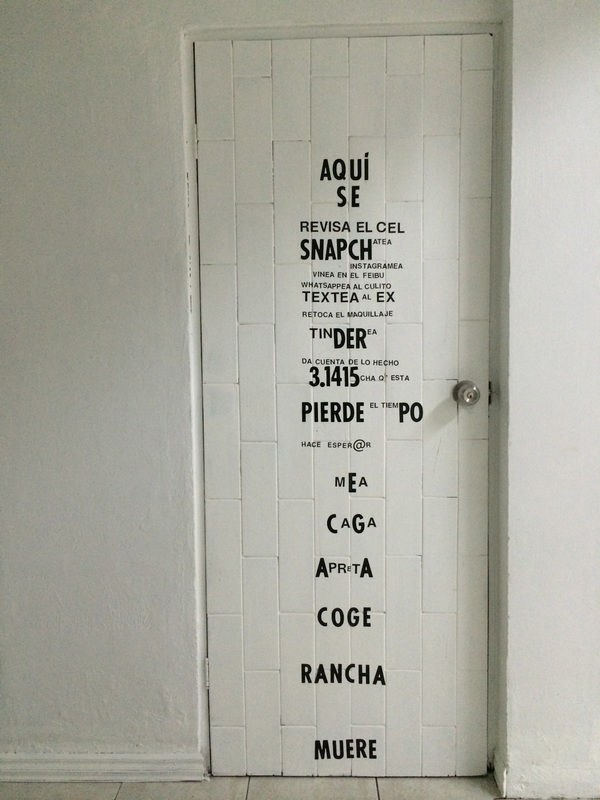 Baño (Bathroom), "Recuerda Mi Nombre" at TERMINAL. Self-adhesive letters on bathroom door.